Since joining the BBC as a reporter in 2012, James Longman has travelled the world to tell some of the most challenging stories. James is a graduate in Arabic from the School of Oriental and African Studies and has a Masters of Science in Comparative Politics from the London School of Economics. 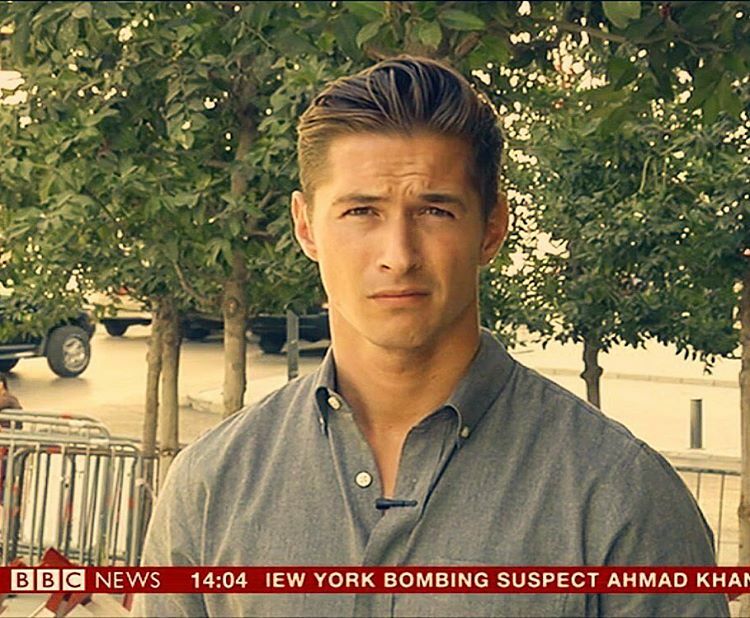 He is a Middle East specialist and he has been reporting on everything from European terror attacks by ISIS and the ongoing war in Syria, and he has done it all as a out and proud gay man. "I did a story in Lebanon about a man who had been arrested by ISIS because he was gay and had been tortured", James explained. And he added: "It struck me that the one group of refugees, those who are fleeing the war in Syria, anyway who really need a lot of attention is the gay community. They are the one demographic which doesn’t have their own family to support them". About if his sexuality ever makes him feel vulnerable as a journalist, James, who is often based in the Middle Eastern city of Beirut, replied: "First of all, it’s a lot more open than people think. Lebanon especially is not a country which actively persecutes homosexuals. But it’s just not something I tend to think about because I’m dealing with life and death situations and it’s bigger than that". If you want to read a James’s full interview and shoot in Attitude’s April issue, visit pocketmags.com/attitude. Marcus J. Hopkins (@Mjhopkins81) liked and retweeted this post, thanks!! foneco zuzu liked this post, thanks!! !